Ocean Mist Natural Vegan Soap contains ingredients that are moisturizing, anti-bacterial, and acne-fighting. Sweet almond oil, Jojoba oil, Castor oil, Olive oil, etc. If you close your eyes, the fragrance of this beautiful bar of luxury soap could make you believe that you were walking along the beach in the early morning. While the fragrance is definitely reminiscent of an ocean mist, you will also detect slight hints of fruit and spice. Delicious! Not only that, but this soap is wonderful for your skin AND, it's VEGAN. No animal products are used in our homemade soaps, ever. 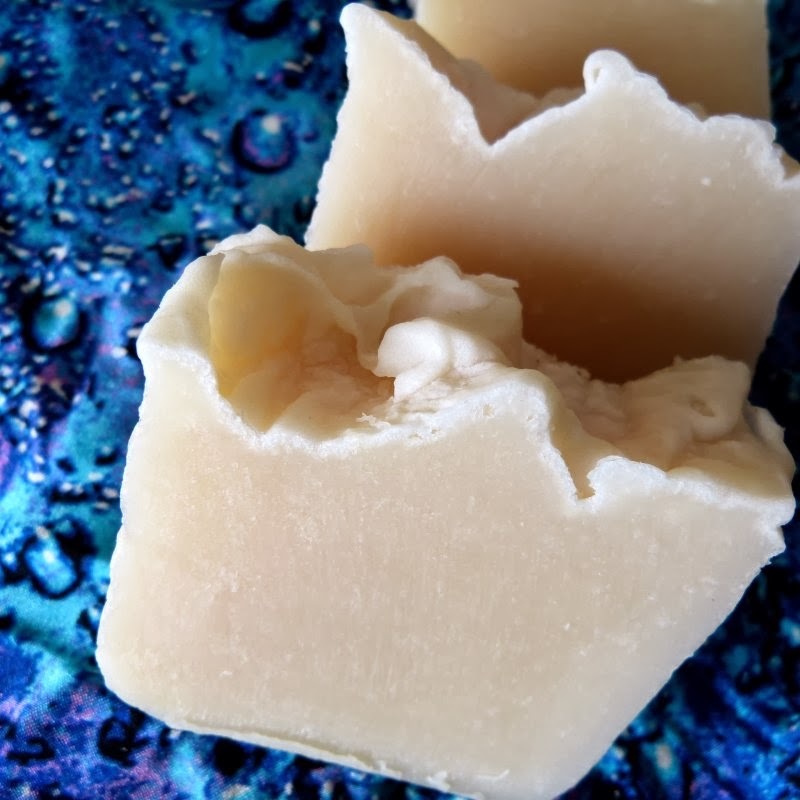 Always moisturizing and gentle, our homemade soaps never dry and irritate like store soaps can, which often have a long list of unpronounceable chemical ingredients. Keep Ocean Mist in your bath and shower. And don't forget to put one in the guest bath! Your skin will thank you! This listing is for 1 bar of 'Ocean Mist' handcrafted vegan soap. NOTE: This is the same soap as the Jojoba Shampoo Bar, but because it is amazing for your skin as well as your hair, it is being listed as a bath and body soap as well - and comes with an 'Ocean Mist' label. Each bar comes wrapped in its own distinctive label and enclosed in a cello bag, ready for gift giving! These are great hostess gifts and all-occasion gifts everyone loves! It is a gift they will remember, for these natural, handcrafted bars have a luscious fragrance and last a long time. Each bar is appx. 4.5 oz.